Was Gregorio Del Pilar a hero after all? We were just thrilled on the awesomeness of the recent biopic of General Antonio Luna, the Heneral Luna of Director Jerrold Tarog. The film being on its third week on cinemas proved to be vital in the awakening of our nationalistic senses. It also gave us the real scenario during the Philippine-American war: clashing of public opinions, egotism, Cavitismo, clan loyalties, officer liquidations and disorganization. The heroes which we heralded blindly on their pedestals were depicted here as human beings, which they really were and not some kind of gods. Director Tarog said that Heneral Luna was part of the planned trilogy, with it being the first one and the second one being teased at the credits. The third one will be of Manuel Luis Quezon. 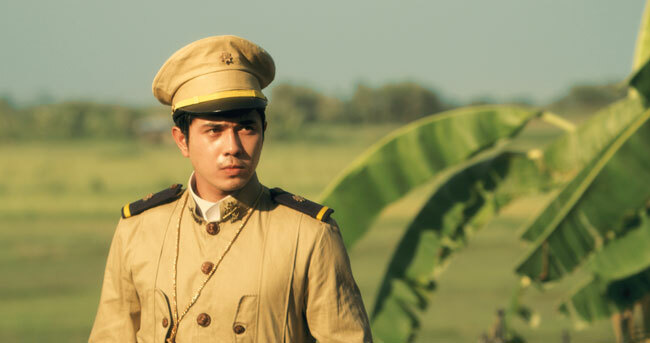 The audiences were at high hopes for the next biopic, which will be about Brigadier General Gregorio H. del Pilar, being played by Paulo Avelino in the Heneral Luna movie. The way that Lieutenant General Antonio Luna, who was at the time of his death was both the Director of War and Chief of Operations, was depicted was received with great enthusiasm for of course he was depicted as the real person based on historical accounts of his personality which was highlighted by his brilliance but was downplayed by his temper. Many people were pondering on the regret of not having a person like Luna in the Philippine society of today. With regards to the next film, however, it will be more of a darker theme, for this will sure shake the very foundations of what we have learned on our history book because the biopic of Gregorio del Pilar, known back then with his nickname Goyong or Goyo, will explore the darker side of the Philippine-American War. Well, he is regarded as the Hero of Tirad Pass. Of course, future generations will look up to him. With regards to the teasing on the movie Heneral Luna, of course, people will anticipate the next movie about Goyong with the expectations of the del Pilar displaying the same level of awesomeness displayed by Luna. Some may compare his last stand on Tirad Pass to the last stand of Leonidas on Thermopylae. But it is horrendously not. Romanticisms made the Americans mask the true character of Goyong as well as the atrocities that he committed inside the revolutionary government. If you were to see him back in the days that he was general, around November 1899, meeting him mounted on a beautiful horse, wearing his excessively fine uniform, knowing the thing he had done on the last four months, you might probably say that General Gregorio S. del Pilar was no more than a pabebe at sipsip na Heneral. Gregorio was born on November 14, 1875 in San Jose, Bulacan. He was the nephew of the great periodista Marcelo H. Del Pilar. With Marcelo belonging to the line of the illustrados, one would think that Gregorio was born to a rich family. But only the branch of the family of Marcelo was the exception on the fact that the del Pilar’s back then were generally poor. Gregorio himself would have to steal some meat pies in the streets to relieve his hunger when he was a kid. Marcelo H. Del Pilar, Gregorio’s uncle. Six years before the revolution in 1896, he was sent to Ateneo. He lived in his aunt’s house who was the wife of Deodato Arellano, one of the founders of Katipunan. It was in the house where he was staying where the Katipunan was founded. At a young age, he was delighted to take part on the distribution of the pamphlets, amused by the reactions of those who read it, especially the friars. He obtained his bachelor of arts at 1896, where he excelled in arithmetic and algebra but was mediocre in philosophy while being rated bien in his other subjects. He was intending to enrol to be a maestro of obras when the Revolution broke out. He then went home to Bulacan to associate himself with the Katipuneros in Bulacan, who were then pro-Bonifacio but had to eventually switch sides to Aguinaldo due to the failures of Bonifacio in Balintawak and Balara and to the victories of the Magdalo faction in Imus, Zapote Bridge and Binakayan. There, he was involved in several missions and skirmishes, where most times he emerged triumphant gaining the attention of Aguinaldo, earning eventually the rank of lieutenant colonel. After the death of Bonifacio, at the time of Governor-General Primo Rivera, the Spanish troops were able to drive away insurgents headed by Aguinaldo from Cavite. 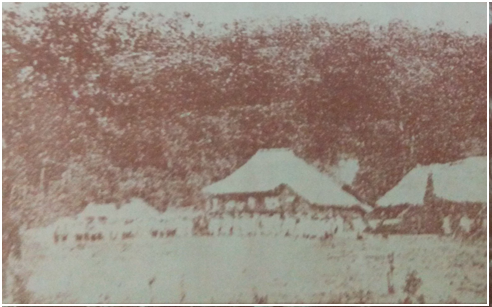 Aguinaldo then turned to Morong and finally settled in Biak-na-bato in Bulacan, where he proclaimed a republic on May 31, 1897, with the provisional constitution signed by the big guys Generals Artemio Ricarte and Mamerto Natividad. But also among those who signed were very young colonels like Manuel Tinio and Gregorio del Pilar, who began squiggling his way towards Aguinaldo’s approval. Their closeness was proven after the Pact of Biak-na-Bato for he was of the chosen few of Emilio Aguinaldo to accompany him in exile in Hong Kong. He was unanimously elected also to the Supreme Council in Hong Kong organized by the exiles, second only to another remora of Aguinaldo, Tomás Mascardo. He was also part of the “Trip to Europe” by Aguinaldo. But of course, we know the history, the “Trip” stopped at Singapore where Aguinaldo met Spencer Pratt which started a collaboration of the Filipinos and American in driving the Spaniards out of the archipelago. 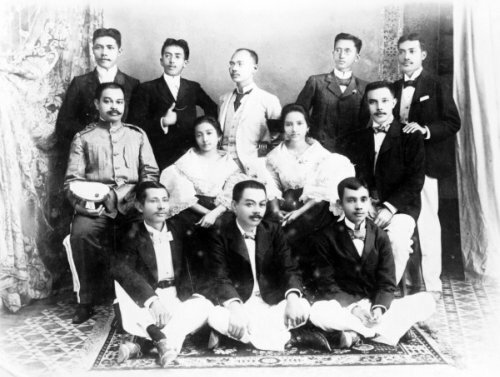 They returned to the Philippines in 1898. Del Pilar basked in glory in his triumphs on his skirmishes on Bulacan and Nueva Ecija, thus at the age of 22, he was appointed general, the second youngest next to Manuel Tinio who was also triumphant and more battle-hardened on his blitzkrieg on the Ilocos Region. There his unfamiliar qualities began to emerge. He began wearing extravagant clothes, having sweethearts on every town and cautiously following superstitions. He also began to show signs of brashness. “Where General Del Pilar commands, you do not command!” those were the words he said to General Isidoro Torres during their encounter on the military parade at the inauguration of the Congress in Malolos. He was practically insubordinate to his superiors especially to Luna, who was the Chief of Operations, claiming also that he only takes orders directly from Aguinaldo. Luna reprimanded him once while both were in horseback, riding towards the front. Luna was absorbed in lecturing Del Pilar that the former did not notice that they were already behind enemy lines, but Del Pilar knowing it a long time ago didn’t tell Luna. That instance was still riddled by the question of intentions on the side of Del Pilar. The Battle of Kalumpit was one of the fiercest battles in the Central Luzon, with trenches extending from Calumpit (guarded by Mascardo) then to Quinga (guarded by del Pilar) then to Bagbag (guarded by Luna). The Quinga battlefront was the first to be attacked on April 23. It took just hours before Quinga fell, but del Pilar received compensation because his troops downed Col. Stotsenburg, one of the commanding officers of the Americans at Quinga. His failure in Quinga was mainly because of the feud between Gen. Del Pilar and Gen. Venancio Concepcion. His troops retreated to San Fernando, Pampanga. The Americans began to admire del Pilar not because of his military prowess but because of lavishness, which he showed when he was one of those sent by Aguinaldo as the “Peace Commision” to the Americans, having approved by the Cabinet, much to Director of War Antonio Luna’s dismay. But the American further belittle Filipinos for having the impression of the boy general as the representative of the Philippine revolutionary army. On June 4, 1899, Aguinaldo was in San Isidro, Nueva Ecija, heading to Angeles, when he employed del Pilar as the hatchetman, torturer. Aguinaldo was determined to liquidate Luna and his officers. Del Pilar was given the instruction of capturing Luna, dead or alive for Luna had been “accused of high treason.” When he got to Luna’s headquarters in Bayambang, only General Alejandrino, who scorned Del Pilar while receiving Del Pilar lying down in his bed, was there. He found out that Luna went to Cabanatuan, where Luna received his gruesome fate, which we witnessed being depicted by Heneral Luna in the cinemas, on June 5, 1899. He then turned his attention to the liquidation of the officers of Luna, most notably Capt. Jose Bernal, Maj. Manuel Bernal, Gen. Venancio Concepcion and Gen. Jose Alejandrino. Jose Bernal was assassinated in Angeles by troops of Col. Aquino. Manuel Bernal was tortured then summary-executed by Del Pilar’s henchmen. General Concepcion was relieved of command. General Alejandrino could have been killed by Del Pilar’s men, mistaking him as General Luna, but luckily saved by soon-to-be-General Urbano Lacuna’s clarification on Alejandrino’s identity. Aguinaldo also had plans to dispose Alejandrino, but knowing that the General’s brother, Joaquin, was part of the formidable Tinio brigade, which they were seeing as their savior, spared the latter’s life, assigning him to Mangatarem, La Union, then under General Lacuna in Mt. Arayat. Due to his loyalty to Aguinaldo by presenting himself as the hatchet of the Republic, he was appointed as commandant general of Pangasinan, with headquarters at Dagupan. It was a 5-month silence, from the death of Luna to the offensive of Americans. The Americans were planning by taking on the Tinio brigade and Del Pilar Brigade at the same time, wanting to cut off Aguinaldo’s escape route. It was the time of anxiety for the Filipinos did not know when the Americans will launch their offensive. But during those times that the Filipinos should be readying themselves for battle, most of them were slacking off, a proof of their indolence. Of course, they would not slack off if their commanding officer was also not slacking off. During this time, Del Pilar indeed slacked off, attending fiestas and banquets to his honor, just like what he did in Bulacan. He had so many lovers in many of the towns of Pangasinan, with his love letters being kept on a folder. He showed that he was no gentleman but a cad. He fixated himself in wearing the finest military clothes, most notably his Khaki uniform, which he wore until the end (of course, he had to occasionally wear it off for laundry). It was as if Del Pilar was enjoying his youthfulness before the plunge into the darkness. There was one reason that Aguinaldo instated Del Pilar to Pangasinan: it was to stop Ilocanos getting in Aguinaldo’s way for we know that Luna was an Ilocano. The revolutionary government was technically inactive during that time. With Aguinaldo struck with fatalism and pessimism, he took no action, not even considering what Luna had planned on establishing an impregnable fortress in the Mountain Province. Of course, like every Filipino leader, Del Pilar wanted to show that he was not doing nothing, occasionally assembling his troops. There was one incident where the Spanish prisoners attempted to escape via the Lingayen river. Del Pilar instated guards there to shoot anyone who would swim on it. After spending lots of his time on finding leisure, he eventually forgot about it and went swimming on the river. The guards took up the challenge and began to shoot Del Pilar. Del Pilar was lucky to not have been struck by a bullet. He eventually punished those officers. The nervousness on him inflicted by that encounter would soon be escalated by the sight of the American warships at Lingayen bay at the opening of November 1899. Three invasions were executed, one in Ilocos, one in Pangasinan and one in Cagayan. The Americans in the Central Luzon also launched an offensive. Aguinaldo began running for his life to the Cordilleras. Daniel Tirona proved his worthlessness when his brigade surrendered to the Americans in Cagayan without resistance. The Tinio brigade was cut off from reinforcing Aguinaldo. Only Generals Alejandrino and Del Pilar were the only commanding officers in charge in ensuring the escape of Aguinaldo. 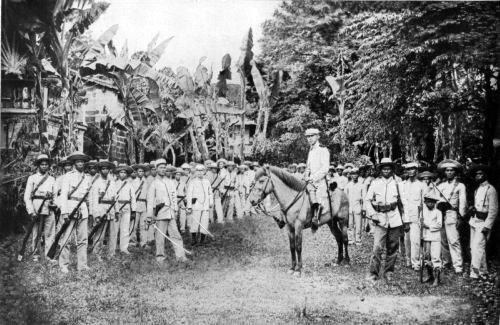 Aguinaldo ordered his troops to shift to Guerrilla warfare at the time the American began their offensive. Aguinaldo was almost cut off from escaping from Tarlac. Americans landed in San Fabian then they met the Del Pilar Brigade, with 2000 troops still behind him in Sta. Barbara. Due to the carelessness of Del Pilar, dropping the matter of having heard gunshots as the sound of pounding rice, the Americans overrun the defences. The recklessness of Del Pilar put the large escape party of Aguinaldo in peril. Gen. Alejandrino made the first saving effort, on routing some of the Americans away from Aguinaldo’s party in Mangatarem, La Union. His defences would soon fall down, and his party also had to seek refuge on the mountains. Later on, Alejandrino would be reinstated in Arayat under General Lacuna. 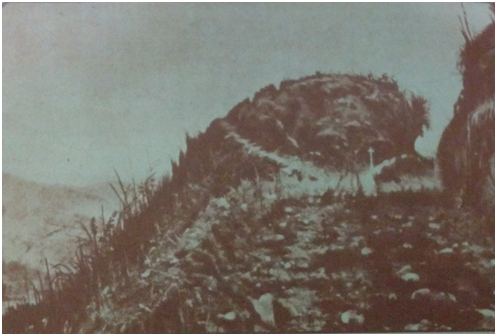 Aguinaldo sought refuge on the highlands of Concepcion, Ilocos Sur. By the end of November, Del Pilar began entrenching the 4500 ft. high Tirad Pass, digging three trenches. As the Americans began to invade the towns of Cervantes and Concepcion, Aguinaldo began his hopeless trek into the mountains, with no certainty of destination. He begged Del Pilar to lead the defences in Cervantes but Del Pilar also left for Tirad Pass. By December 1, 1899, the Americans began advancing towards Tirad Pass, not to look for Aguinaldo but to isolate the Tinio brigade. Del Pilar began his delaying action. But the delaying action which started on the next morning lasted only six hours. The terrain advantage that should act as the force multiplier was no use. There were two accounts regarding the death of Del Pilar: the first one with Del Pilar being on a high point looking at the battle from afar during the ceasefire, only to have his position exposed to the snipers. The snipers began firing at him. He covered his face, probably wanting to protect his handsome figure, instead being shot in the neck and falling backwards. The second account was him being shot at the same spot, but under different circumstances. Confident that the Filipinos were winning the battle, Del Pilar descended to the front line wanting to be part of the battle personally. He was handed a carbine and began to look for Americans, much to his difficulty because of the tall cogon grass. His subordinates told him to crouch down, but it was too late, the snipers got him, inflicting a mortal injury on his neck, causing instant death. With the general fallen, most of the troops started to flee, but some officers restrained them. After the battle, 53 out of 60 Filipino soldiers died, including Del Pilar. Del Pilar, upon being found by the Americans, was stripped and ransacked of his belongings, leaving his body to face the elements. His body was found wearing only his underwear and then buried nine days later. The Americans who went to see the downed general were astonished by the elegance of his stature and his flamboyant Khaki uniform. That was where the Battle of Tirad Pass and the boy general was romanticized by the American press, a story that was included in the history books that forced us to admire the “heroism” of the Boy General, of Goyong. With you being enlightened, it is now up for you to decide whether he deserved his pedestal or not.